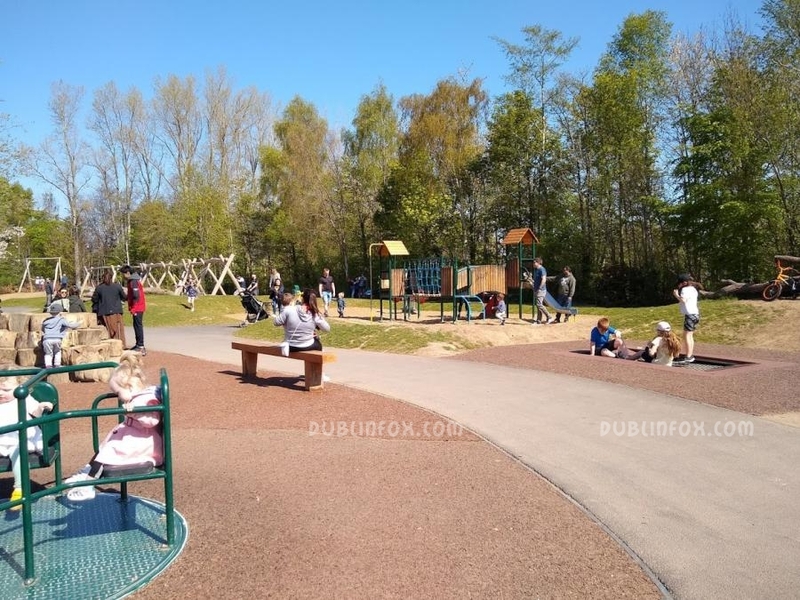 Corkagh Demesne playground certainly has the X factor... 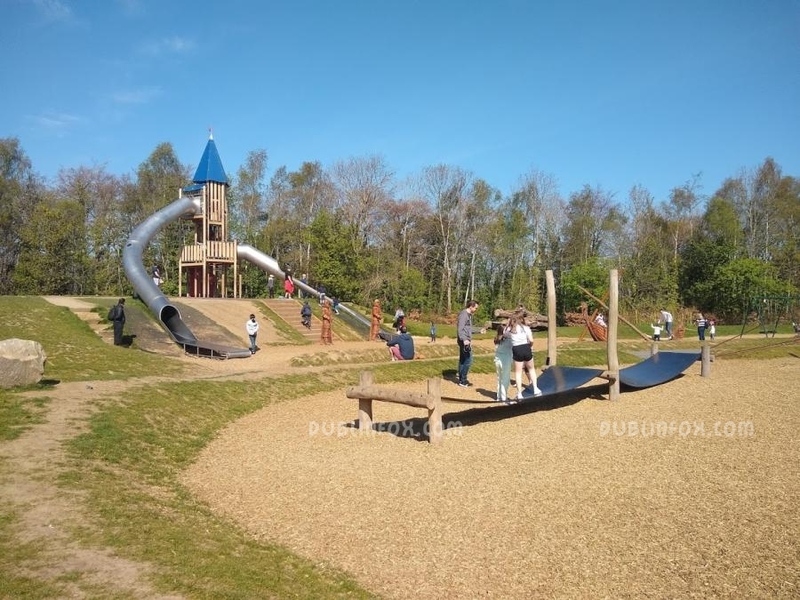 It is one of the most spacious playgrounds in Dublin and it is for sure entertaining even for kids who are hard to please. 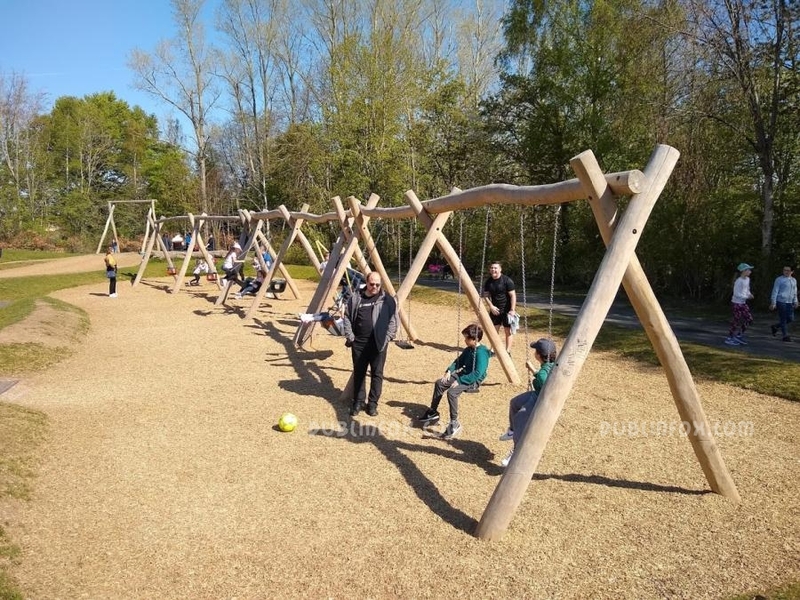 Besides the traditional swings, springers, multi play units and climbing structures, there is some more interesting play equipment, too. The two hill slides are safe, the wobbly balancing beams are challenging and the supernova roundabout is perfect fun for all ages. The only drawback of the playground is the surface: the small pebbles can be dangerous and after a while it is very uncomfortable to walk on. Otherwise Corkagh Demesne playground is a lovely, sunny place to spend the morning or the afternoon. 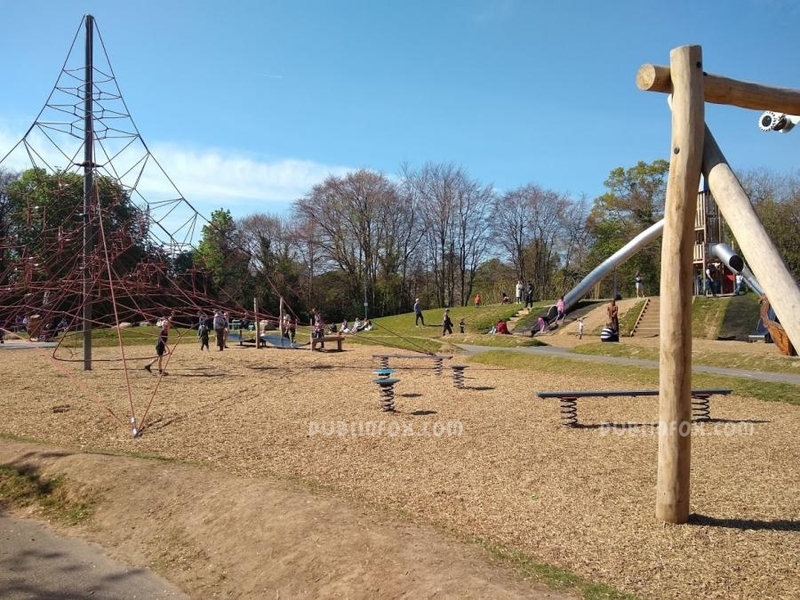 Near the playground, there is a small pet farm http://dublinfox.com/show/nature/Corkagh%20Demesne%20and%20Pet%20farm.html and a rose garden which can be interesting to visit too but simply taking a walk or playing ball games in the demesne's grounds might be relaxing and enjoyable as well. update: Some swings are missing and the public toilet is closed. 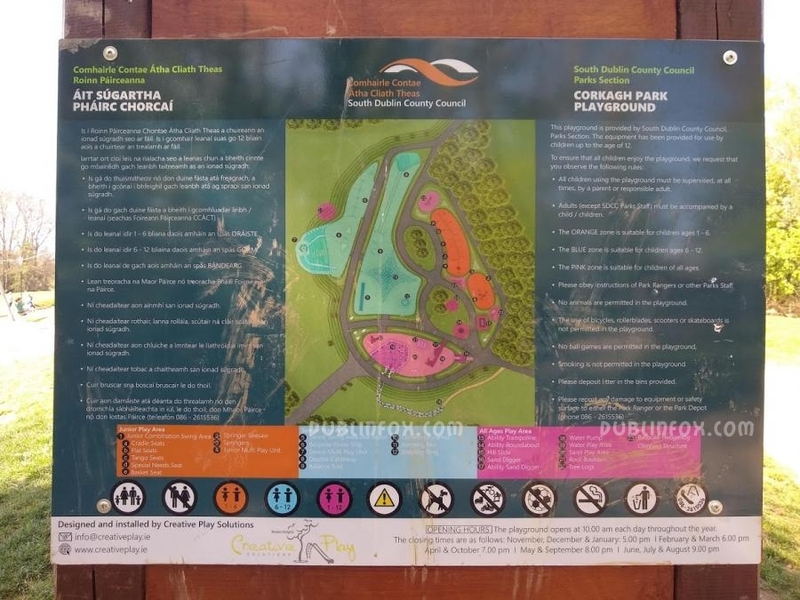 Click here to open Corkagh Demesne's website in a new window.